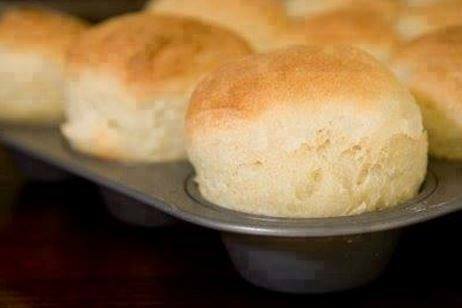 In a bowl or Ziploc bag, Combine all of the ingredients, Then spoon the dough into to a greased muffin pan. (This part is where the Ziploc bag comes in handy, mix everything in the bag, snip off the corner and squeeze the dough into the pan) Throw out the bag, no dishes! Bake in a preheated Bake 375˚F oven for 18-20 minutes or till done and golden brown.